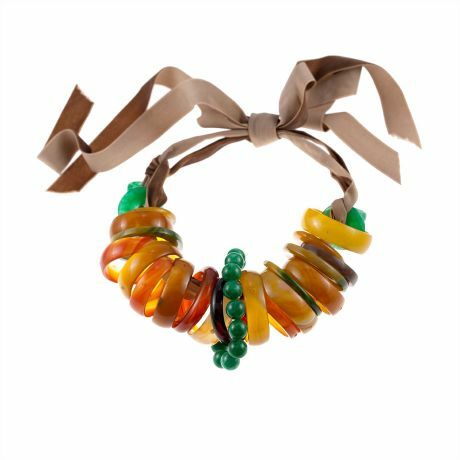 16" - 26" Adjustable Necklace of 24 green and amber jade circles with green jade beads and rings on taupe velvet ribbon. Colors may vary. Velvet ribbon available also in light tan and dark brown.